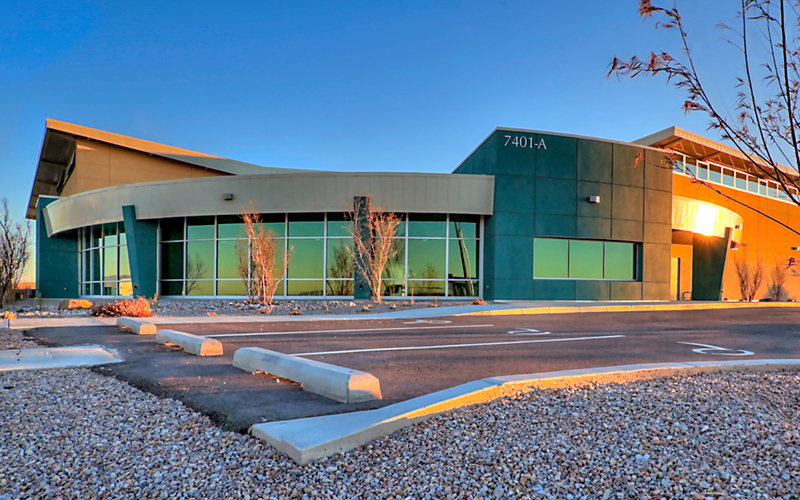 The Airfield Maintenance Facility functions as the City of Albuquerque Aviation Department’s base of operations providing essential services for air-side and land-side operations at the Double Eagle II Airport. 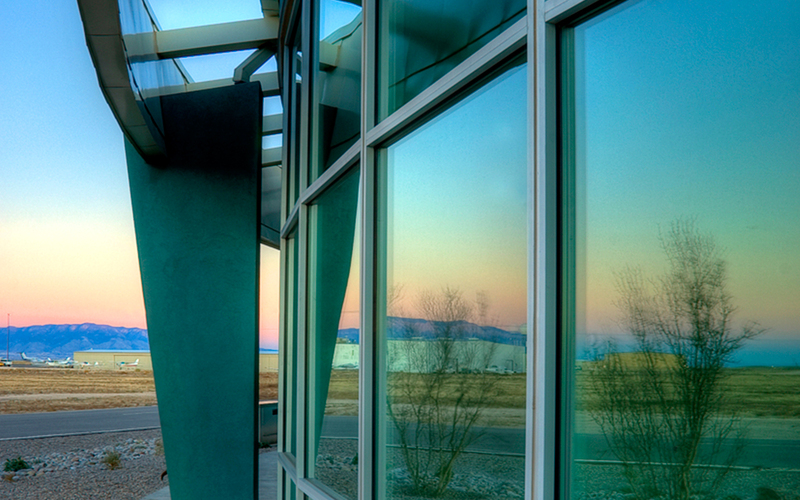 The facility houses administrative offices, the airfield grounds maintenance center and associated support spaces. 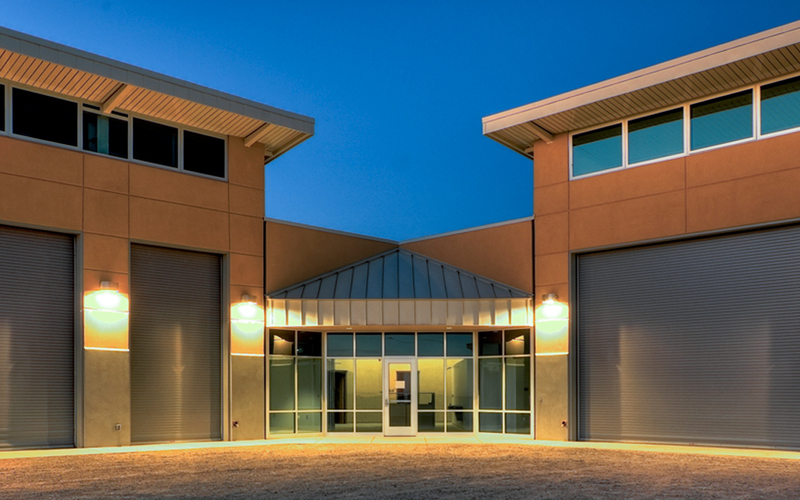 The building roof profiles reference aircraft wings and provide sheltered and enclosed storage spaces for airfield maintenance vehicles and equipment. 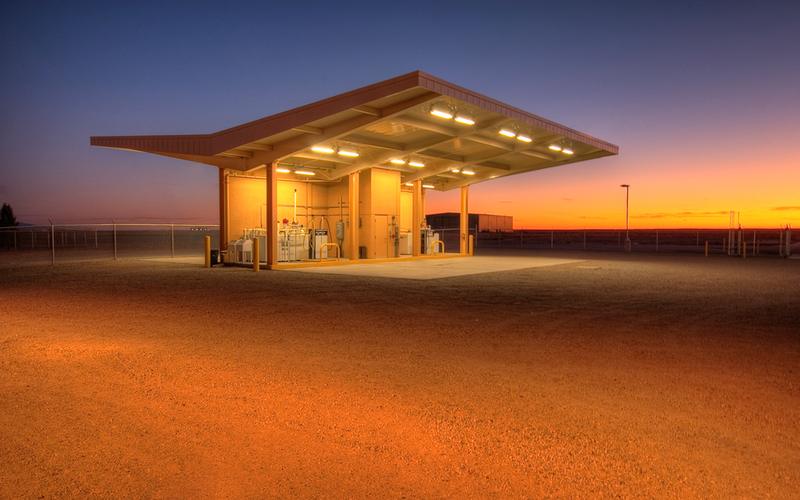 Facilities include equipment fueling and wash center, and the primary maintenance yard. The administrative functions for which the building supports include general airport management and operations, field supervision and base operations for airfield grounds maintenance services.